Earlier this month, Jackie Chan was in the Gansu province of China to bring supplies and donations to residents affected by recent hailstorms and rain. 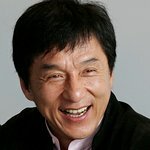 From JackieChan.com: "He also attended a ground breaking for a new school that his Dragon’s Heart Foundation is building there. To see photos from Jackie’s trip, click here.